As Tanya M. Peres and Aaron Deter-Wolf point out in their introduction to Baking, Bourbon, and Black Drink: Foodways Archaeology in the American Southeast, it is no longer sufficient for archaeologists to just identify food remains in the past; they must “look beyond the data tables and pursue the larger picture of food and its role in human cultures—that is, the foodways of past societies” (2018:1). In practice, this is a difficult task. 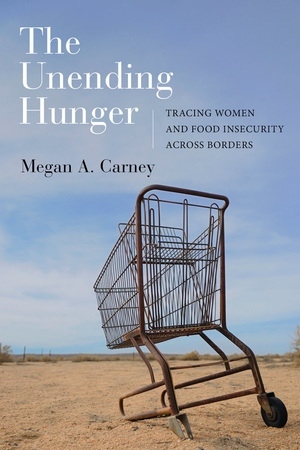 The nine chapters in this edited volume show both the great potential for using archaeology to study social practices and cultural meanings related to food, and the challenges for those who try to move beyond ‘laundry lists’ of animal and plant species. Baking, Bourbon, and Black Drink responds to a growing interest in modern and historic cuisine from the Southeastern United States (from the Atlantic Ocean into Arkansas and Louisiana, the Gulf of Mexico to the Ohio River Valley), but expands the genre by introducing a range of archaeological approaches and increasing the time-depth to include the past 14,000 years. The temporal and methodological diversity of the chapters is one of the great strengths of the book, although that multiplicity also makes it difficult to bring them all together in a coherent narrative. While the chapters are arranged thematically in sections—feasting, social and political status, food security and persistent places, and foodways histories—the divisions often feel rather arbitrary. The first section on feasting contains only one chapter by Megan C. Kassabaum on the importance of integrating ceramic, faunal and botanical datasets for studying feasting. The evidence she presents from Feltus, a Woodland period ceremonial mound site, raises questions about the role of feasting in pre-agricultural societies with low levels of social differentiation. This poses a challenge to traditional models which assume that agriculture is necessary for large-scale feasting, and that feasting is inherently linked to the creation and maintenance of social inequality. The emphasis on quantity rather than rarity of food items is welcome, although it is difficult to rule out the presence of labor-intensive foods without more evidence about food preparation techniques. The second section deals with social and political status in southeastern foodways. Two chapters, one by Tanya M. Peres, and one co-authored by Peres and Kelly L. Ledford, provide zooarchaeological evidence for social stratification at Moundville in Alabama. One of the great highlights of the volume is Thomas E. Emerson’s chapter on Black Drink, a beverage made from caffeine-containing yaupon holly and very hot water used as both a social drink, and as an emetic for ritual purification. Emerson combines historical and ethnographic accounts with ceramic analysis and iconography to contextualise recent residue analysis which identified Black Drink at Cahokia. Following on in the vein of beverage studies, Nicolas Laracuente provides a strong introduction to the archaeology of whiskey production in Kentucky. As Laracuente notes, the role of women and enslaved African Americans has been sidelined in histories of the distilling industry and it would be very interesting to see a development of archaeological work which could illuminate the contributions of those groups. The third section deals with food security and ‘places which persist’ as food preparation and consumption areas for long periods. Stephen B. Carmody, Kandace D. Hollenbach and Elic M. Weitzel use a diet breadth model—which predicts that foragers will preferentially go after higher ranked food products (based on the net cost of the caloric return minus the cost of energy to acquire and process it) but that as resources become rarer they will turn to a broader range of lower ranked products which provide less calories and/or require more processing time—to suggest that foragers at Dust Cave, Alabama shifted from a more general subsistence strategy to intensive mast collection and processing during the Middle Archaic in response to a changing climate. Meanwhile, Lauren A. Walls and Scot Keith look at the transformation of earth ovens from Woodland Period sites in Tennessee and Georgia as a sign of broader social changes. Finally the section on foodways histories contains two chapters using “new methods of examining foodways to challenge the idea of monolithic cultural continuity during the Woodland and Mississippian periods” (9). Both deal much more with meals and cuisine than do the previous the chapters. Neill J. Wallis and Thomas J. Pluckhahn use shifts in the size and wall thickness of ceramic vessels to suggest changes in food preparation techniques that have not yet been recognised using faunal or botanical studies. The importance of considering food preparation techniques is reinforced by the final chapter, by Rachel V. Briggs on different forms of the hominy foodway. She uses a historical anthropological approach to demonstrate why the Native American technique of nixtamalization for maize was adopted within the African American hominy foodway, but not the European one. The chapters which really stand out in this volume, especially those by Emerson and Briggs, are those able to really get at what Briggs calls “the vital relationship between what we eat and who we are” which “is not simply that we make choices about what we eat, but that the practices involved in what we eat, those we reproduce every day, are also generative” (161). It is no coincidence, I would suggest, that it was the chapters focusing on meals, cuisine and cooking rather than diet and subsistence which were particularly successful. Offering an excellent overview of archaeological work in the region, this book will clearly be important for those studying or teaching about southeastern foodways. However, it is also an interesting model for any archaeologist trying to figure out not just what was eaten in the past but what it means. It was 1962 when Claude Lévi-Strauss introduced his famous idea that, in order to be “good to eat” (bon à manger), a substance must be first of all “good to think” (bon à penser): as the French scholar reported in the pages of Totemism, food must nourish people’s collective mind — i.e. their systems of values, beliefs, and traditions — to be considered suitable for their stomachs. Since then other theorists have weighed in on the nature of food and culture, including cultural materialists (Marvin Harris 1985), and practice theorists (including Alan Warde 2014, 2016) who assert that a focus on practices and actions provides a third way to think about culture and meaning, sidestepping tensions between emphasis on ideas and things. While materialism and practice theory have enriched and decentered discourses of food and identity, for example, the value of ideas, beliefs, and symbols remains salient in food studies. While food habits, preferences, and taboos are partially regulated by ecological and material factors, research has shown that all food systems are structured and given particular functioning mechanisms by specific societies and cultures, either according to totemic (such as in animistic religions), sacrificial (such as in ancient history), hygienic-rationalist (such as in contemporary Western dietetics), aesthetic (such as in gastronomy), or other types of symbolic logics. This provides much “food for thought.” The famous expression has never been so appropriate: not only do cultures develop unique practices for the production, treatment and consumption of food, but such practices inevitably end up affecting also food-related aspects and spheres that are generally perceived as objectively and materially defined. Let us consider, for instance, dietary prescriptions, which are undoubtedly based on the material composition of food products, but are also dependent on the values and meanings conferred on specific food constituents by the narratives and discourses circulating within each culture; or food safety regulations, which are related to the concepts of dirtiness and hygiene — whose perception, as Mary Douglas (1966) effectively showed, is intrinsically related to cultural diversity. Food and taste have always represented crucial means of construction and expression of sociocultural identity, as Claude Lévi-Strauss (1958, 1964, 1965), Roland Barthes (1961), Mary Douglas (1966, 1972, 1984), Pierre Bourdieu (1979) and a number of other scholars have effectively pointed out. What is more, in contemporary societies, migrations, travels and communications incessantly expose local food identities to global food alterities, originating remarkable processes of transformation that continuously reshape and redefine such identities and alterities. This originates a series of interesting questions: how can the cultural meanings and values associated with food be identified and described in today’s fast-changing food systems? How do the processes of hybridization (and domestication) of food and taste affect such meanings and values in different contexts and environments (e.g., creole home cooking, “ethnic” restaurants, fusion cuisines, diasporic foodways, culinary tourism, etc.)? Nutrition evidently relies on the material dimension of food, since it makes reference to its physical composition (in terms of nutrients, calories, etc. ), but is also strongly influenced by the sociocultural sphere: not only do sociocultural factors such as ethnicity, class, education, gender, etc. affect eating habits, but the very ideas of health, beauty, safety and a series of other concepts playing a crucial role in the definition of dietary regimes are culturally defined. Furthermore, contemporary foodways have increasingly emphasized the connection between nourishment and aesthetics (mainly as a result of the generalized process of aestheticization of food and taste), as well as the link between nutrition and ethics (as a dominant position supporting meat-free dietary regimes clearly shows). The conference invites reflection upon such issues, and also consideration of the decisive role played by communication, and especially by the mass and new media, in the establishment of specific collective imaginaries and the association of particular values and meanings to food products, habits, and practices. Both at the local and global scale, nutrition is ruled by a complexity of laws regulating very diverse aspects — e.g. quality, safety, ecology, etc. — related to the production, trade and handling of food. Such aspects, exactly as any other facet of law, cannot be disentangled from culture (see in particular Geertz 1983; Rosen 2006). This explains the difficulty that might be encountered in establishing transnational regulations on food, as recently proved by the discussed case of food treatment within the Transatlantic Trade and Investment Partnership (TTIP) between the European Union and the United States, which reflects not only differences in legislation on food production and handling, but also cultural divergences related to its valorization and perception. The conference focuses on the cultural conceptions underlying food regulations and the way by which they contribute to activate specific meaning-making processes. Submissions, including an abstract (250-400 words), affiliation and a short bionote (100 words), should be sent to conference@comfection.com no later than June 23, 2019. Barthes, Roland. 1961. “Pour une psychosociologie de l’alimentation contemporaine.” Annales ESC, XVI, 5: 977-986 [English Translation 1997. “Toward a Psychosociology of Contemporary Food Consumption.” In Food and Culture: A Reader, edited by Carole Counihan and Penny Van Esterik, 20-27. New York and London: Routledge]. Bourdieu, Pierre. 1979. La distinction. Paris: Éditions de Minuit [English Translation 1984. Distinction: A Social Critique of the Judgement of Taste. London and New York: Routledge]. Douglas, Mary. 1966. Purity and Danger. An Analysis of Concepts of Pollution and Taboo. London: Routledge and Kegan Paul. ——. 1972. “Deciphering a meal.” Daedalus, 101, 1: 61-81. ——. 1984. Food in the Social Order: Studies of Food and Festivities in Three American Communities. New York: Russell Sage Foundation. Geertz, Clifford. 1983. “Local Knowledge: Fact and Law in Comparative Perspective.” In Local Knowledge: Further Essays in Interpretive Anthropology, 167-234. New York: Basic Books. Harris, Marvin. 1985. Good to Eat. Riddles of Food and Culture. New York: Simon and Schuster. Lévi-Strauss, Claude. 1958. Anthropologie structurale. Paris: Plon [English Translation 1963. Structural Anthropology. New York: Doubleday Anchor Books]. ——. 1962. Le totémisme aujourd’hui. Paris: PUF [English Translation 1963. Totemism. Boston: Beacon press]. ——. 1964. Mythologiques I. Le cru et le cuit. Paris: Plon [English Translation 1969. The Raw and the Cooked. Chicago: The University of Chicago Press]. ——. 1965. “Le triangle culinaire.” L’Arc, 26: 19-29. Rosen, Lawrence. 2006. Law as Culture: An Invitation. Princeton, NJ and Oxford, UK: Princeton University Press. Warde, Alan. 2014. “After Taste: Culture, Consumption and Theories of Practice.” Journal of Consumer Culture, 14, 3: 279-303. ——. 2016. The Practice of Eating. Cambridge: Polity. Graduate Students! Are you doing or have you recently completed research related to food and human rights? Food security? Food justice? Do you consider that these and related issues are among the most pressing issues facing humanity? Would you like your work to be recognized? SAFN wants to hear from you! The Society for the Anthropology of Food and Nutrition (SAFN) is seeking applications for the Thomas Marchione Award, which recognizes graduate student research on topics including food security, food justice and/or the right to food in both international and domestic contexts. Any field of study is eligible, and the winner will receive $750 and a year’s membership in both the American Anthropological Association (AAA) and Society for the Anthropology of Food and Nutrition (SAFN). Complete application information is here. Miguel Cuj (Vanderbilt University), Violence, Nutrition, and Health Issues: Maya Memories in Guatemala. Paula Fernandez-Wulff (UC Louvain, Belgium), Harnessing Local Food Policies for the Right to Food. Jessie Mazar (University of Vermont), Issues of food access and food security for Latino/a migrant farm workers in Vermont’s dairy industry. Students! Are you writing great research papers on food and/or nutrition? Want fame and recognition? We want to hear from you! The Society for the Anthropology of Food and Nutrition (SAFN) is seeking applications for the Christine Wilson Graduate Student Award and the Christine Wilson Undergraduate Student Award for outstanding student research papers on food and/or nutrition. The winner of the graduate award and the undergraduate award will receive $300 and be recognized at the annual meeting of the American Anthropological Association and receive a year’s membership in SAFN. Christine Wilson Undergraduate Award: Jared Belsky (Hamilton College) and Mackenzie Nelsen (UNC Chapel Hill), Cultivating Activism Through Terroir: An Anthropology of Sustainable Wine Makers in Umbria, Italy. Christine Wilson Graduate Award: Alyssa Paredes (Yale University), Follow the Yellow Brix Road: How the Japanese Market’s Taste for Sweetness Transformed the Philippine Highlands. Christine Wilson Undergraduate Award: Kate Rhodes (Macalester College), Having a Steak in the Matter: Gender in the Buenos Aires Asado. Christine Wilson Graduate Award: Sarah Howard (Goldsmiths College, University of London), Coffee and the State in Rural Ethiopia. Christine Wilson Award Undergraduate Award: Cynthia Baur (Dickinson College), An Analysis of the Local Food Movement in Carlisle, Pennsylvania. Christine Wilson Graduate Award: Imogen Bevan (University of Edinburgh), Care is Meat and Tatties, Not Curry.